Winter Revolution: Phase 1 - Talent Disco has been extended to February 10th due to popular demand. Phase 2 has been delayed as to allow players to reap the rewards of Talent Disco for a few more days. Take advantage of the tripled talent drop and gain the edge Nobles! 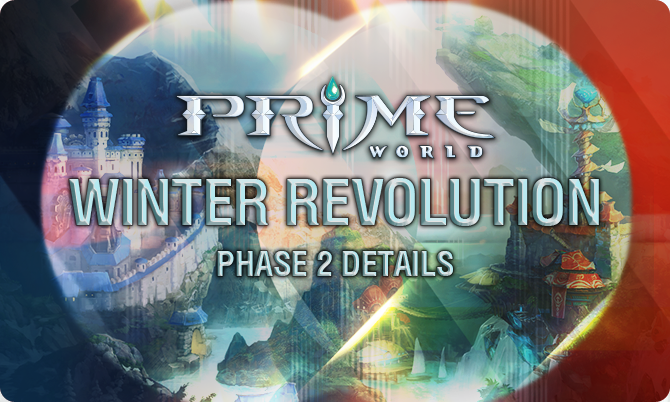 This means that Phase 2 will begin on Monday, February 10th, bringing the much desired gold giveaway, fixing the matchmaking issues and dropping quite a few new goodies to Prime World! Head over to our Forums to discuss about this!